The Balloon Training Academy fills a need that has not been addressed in the past. Not everyone can get ground school where they live or go to one out of town. I’ve had several of my students take the course when I could not work with them one-on-one and pass their written/knowledge exams. Great program! Keep up the good work! I wanted to let you know that I passed my private written with a 92%. I passed my checkride and the DPE said that I was very prepared. I do think your course helped me prepare for sure. I liked the assignments as I felt it helped me look in the FAR and look deeper into other materials. Thank you for working with Rich. Rich got 90% of his training this summer in less than 60 days. He is our first student to be trained in the mountains and he passed his private chckride with flying colors. I am recommending your ground school to everyone I come in contact with. Your work is definitely filling a need and I hope that it continues to gain momentum. As a flight instructor, I always recommend my students follow and participate in anything Balloon Training Academy related. It’s a fantastic resource! 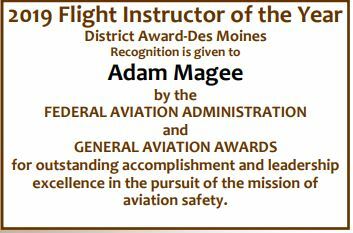 Congratulations Adam Magee – 2019 FAA CFI of the Year! Learn from commercial rated hot air balloon pilots who have the experience and training to help you succeed. The FAA does NOT publish knowledge test questions, but we have hundreds of sample questions for you to practice to prepare you for the exam. Learning online is great for people with busy schedules because you can learn at your own pace from your home, or on your mobile device. We’re focused on your outcomes and you’ll be able to monitor your progress with our many progress tracking tools.